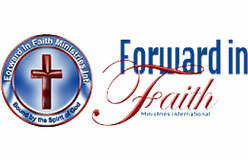 Forward in Faith Ministries International was birthed through a divine calling, when God called a young man living in the remote area of Ngaone in Chipinge, Zimbabwe. Ezekiel Handinawangu Guti was compelled to seek the creator, and although not having access to a preacher or a bible, Ezekiel had experience and encounter with God in which after many days of crying “Creator, if you are there, save my soul,” the Lord responded audibly saying “Fear Not, Sin Not.” As God revealed Himself to Ezekiel Guti, little did anyone imagine that it would result in a ministry that has now reached over 100 nations and states worldwide. FIFMI (also known as ZAOGA in Zimbabwe), is one of the most powerful movements in post-biblical Christianity,changing millions of lives through the vision given by God to founder Archbishop Dr. Ezekiel H. Guti.